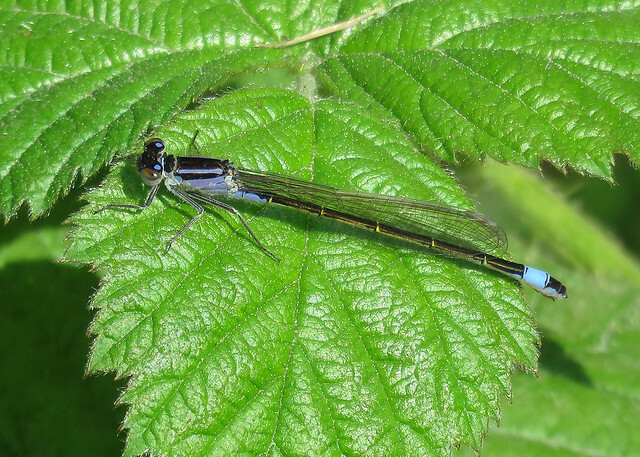 A sunny day with intermittent cloud, a light increasing to gentle breeze south-easterly, temperatures around 15 degrees C. After a slow start, the Dragonfly season has well and truly burst into activity, with seven species recorded around the reserve. 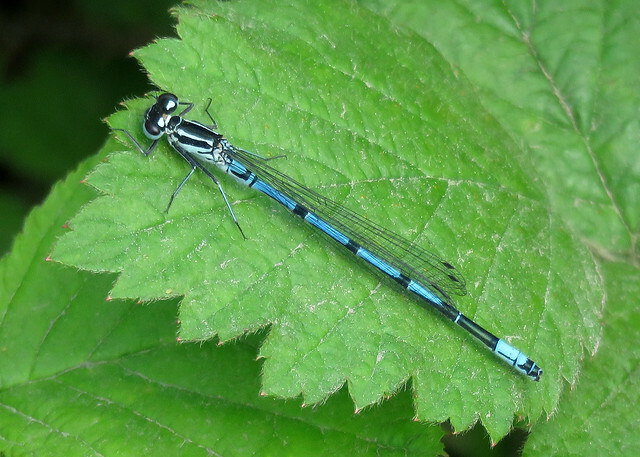 Large Red Damselfly Pyrrhosoma nymphula have now been joined by Azure Damselfly Coenagrion puella, Blue-tailed Damselfly Ischnura elegans, Red-eyed Damselfly Erythromma najas and Common Blue Damselfly Enallagma cyathigerum. 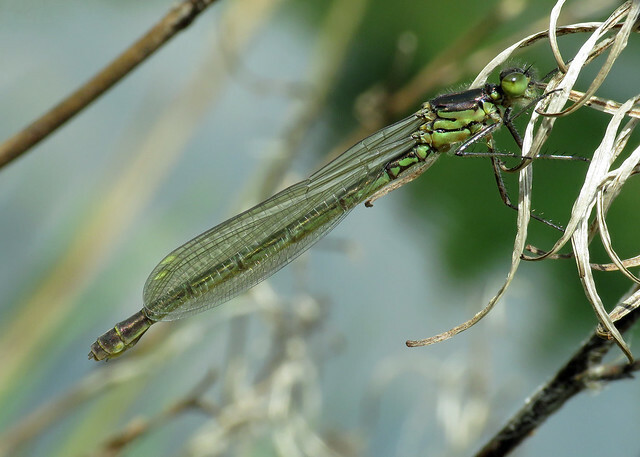 The Red-eye was a female which appeared to have emerged that morning from Carp Lake. 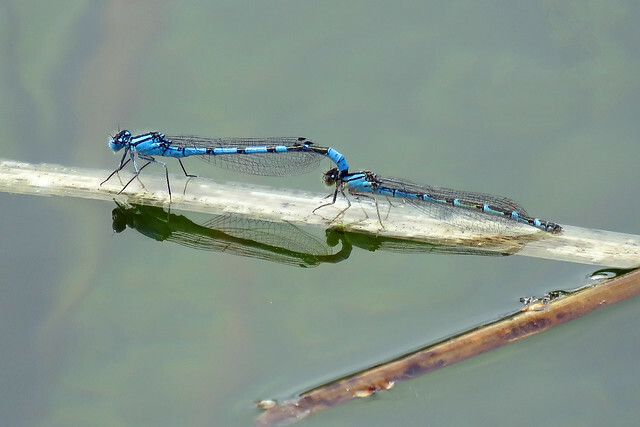 The Common Blues were mainly teneral individuals that had emerged that morning, however a mature pair were found on the Dragonfly Ponds, already mating and ovipositing. 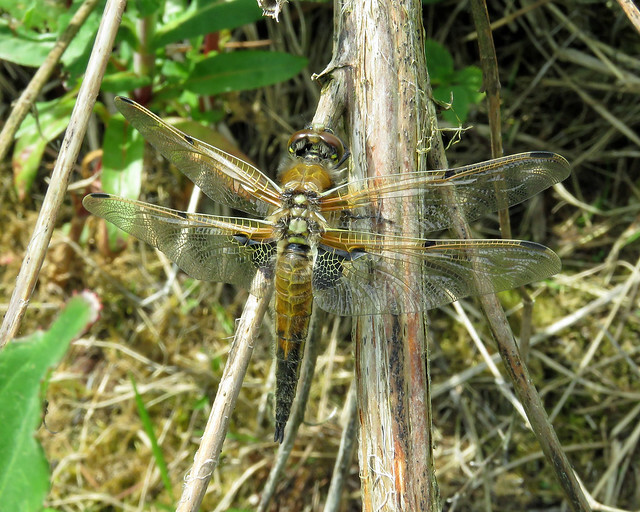 It was nice to find two Broad-bodied Chaser Libellula depressa in the North-west corner of Reedbed Lake. 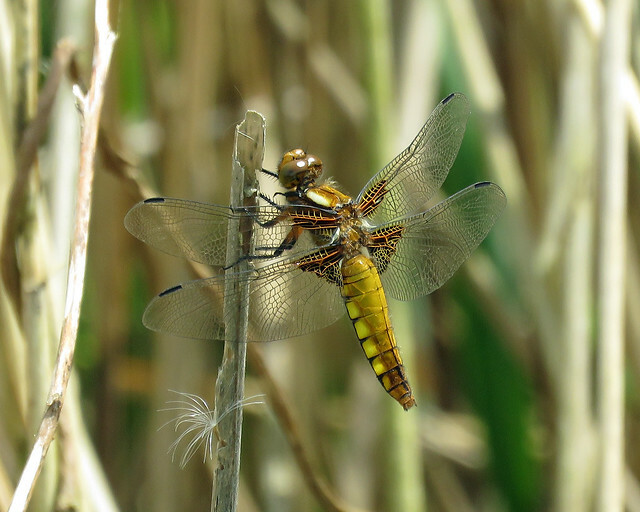 A few Four-spotted Chaser Libellula quadrimaculata were noted, mainly around Carp Lake and the Dragonfly Ponds. 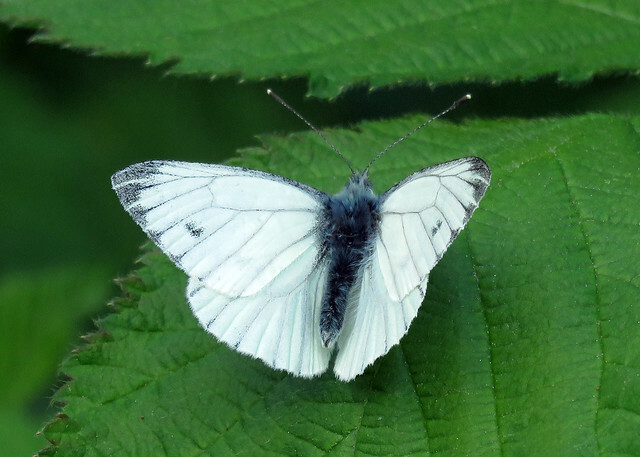 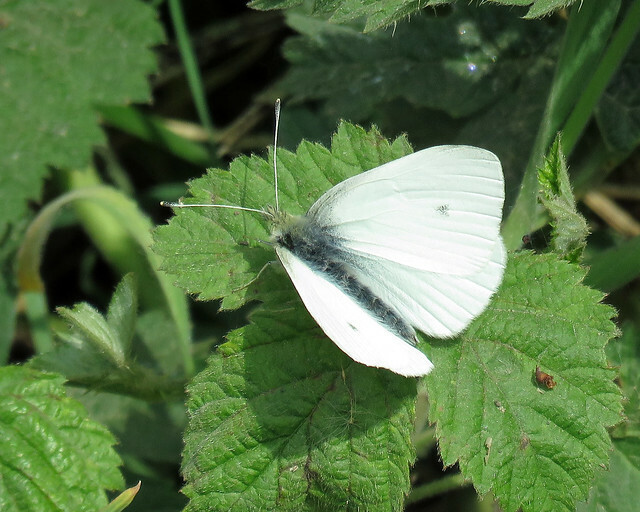 Eight species of Butterfly recorded with Small White Pieris rapae new for the year (NFY) Other species included Brimstone Gonepteryx rhamni, Green-veined White Pieris napi, Large White Pieris brassicae, Orange-tip Anthocharis cardamines, Peacock Aglais io, Small Tortoiseshell Aglais urticae and Speckled Wood Pararge aegeria. 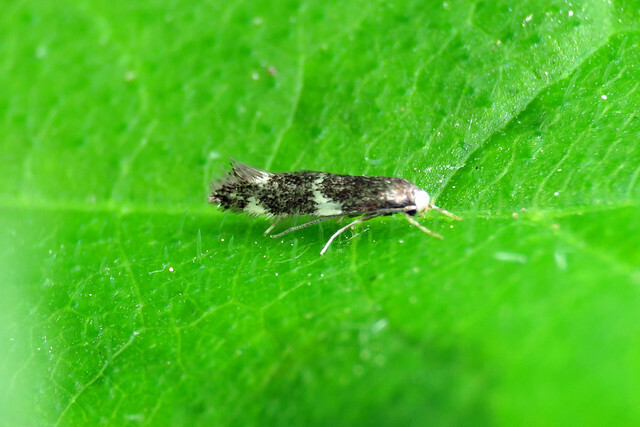 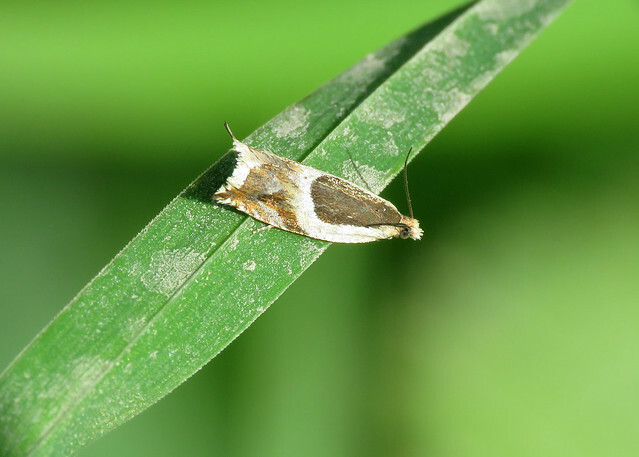 A trio of Micro Moths note included Common Roller Ancylis badiana (NFY), Pearled Dwarf Elachista apicipunctella (NFY) and Thistle Bell Epiblema scutulana (NFY). 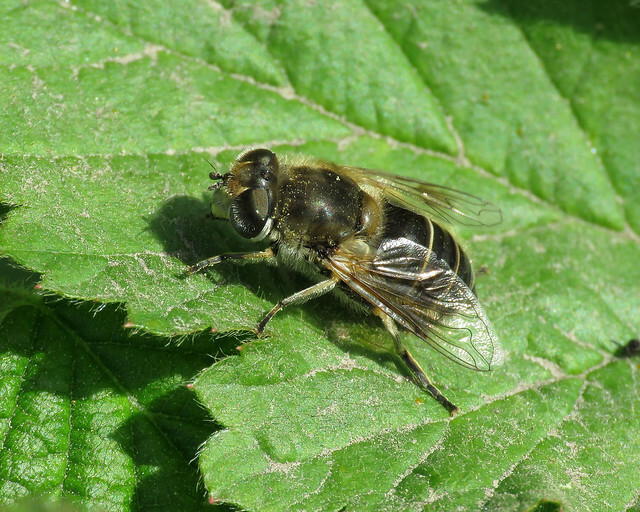 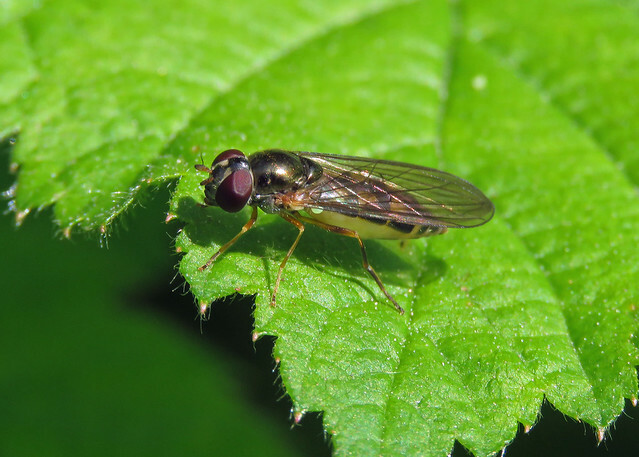 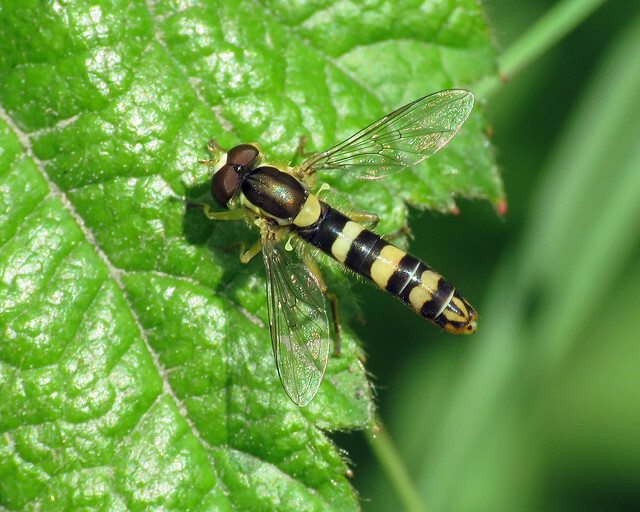 A cracking Hoverly day, 19 species recorded, with Epistrophe nitidicollis (NFY) and Platycheirus peltatus agg. 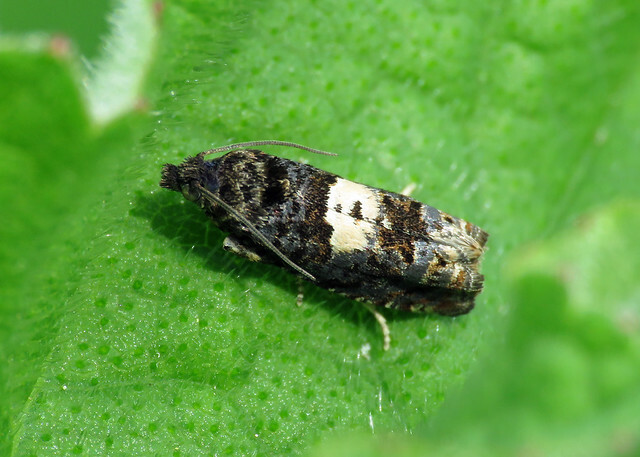 (NFY) new species to me. 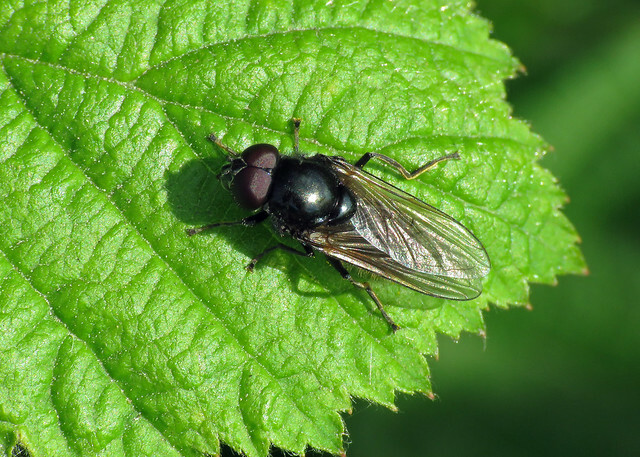 The other species noted included Cheilosia albitarsis agg. 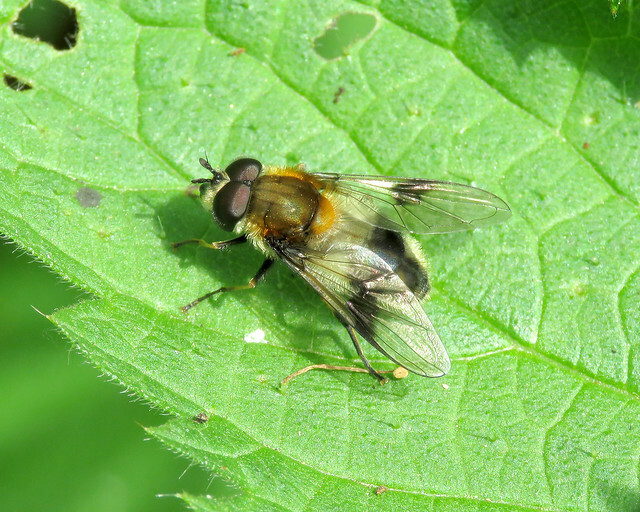 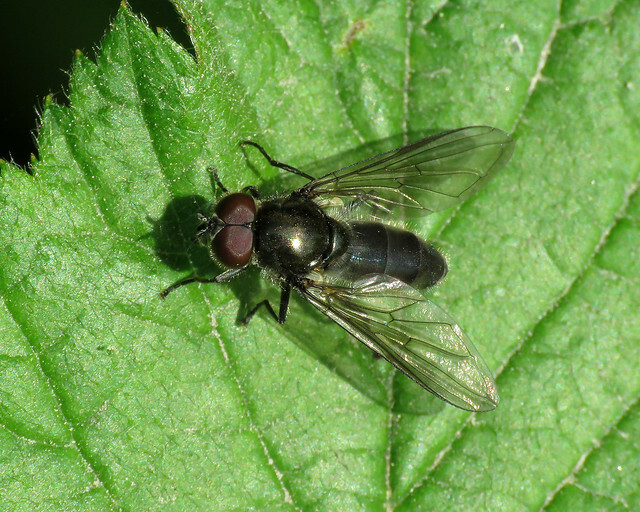 (NFY), Cheilosia illustrata (NFY), Cheilosia pagana, Cheilosia variabilis, Dasysyrphus sp. 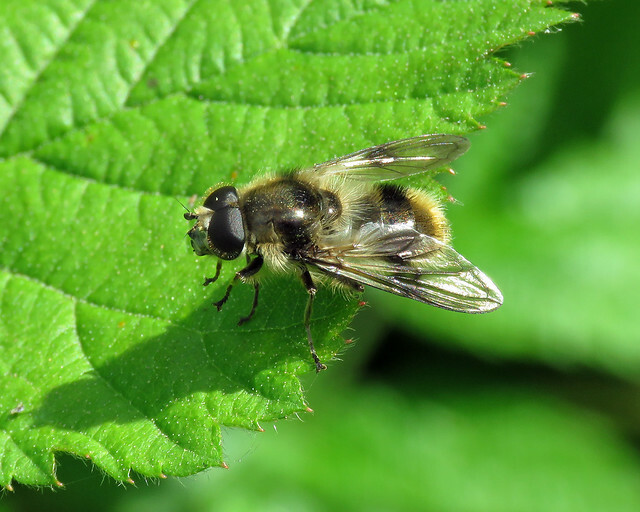 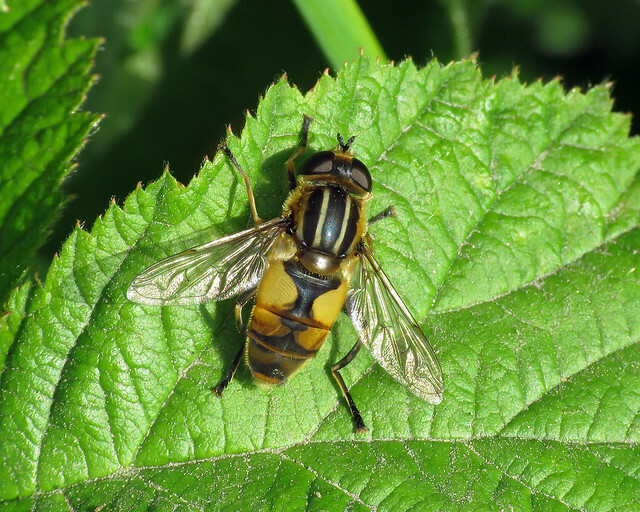 (NFY), Epistrophe eligans, Eristalinus sepulchralis, Eristalis arbustorum, Eristalis intricarius, Eristalis pertinax, Helophilus hybridus (NFY), Helophilus pendulus, Leucozona lucorum, Melanostoma scalare, Parhelophilus sp. 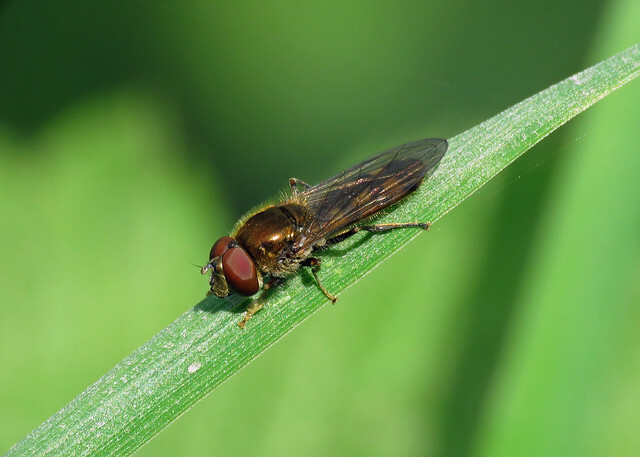 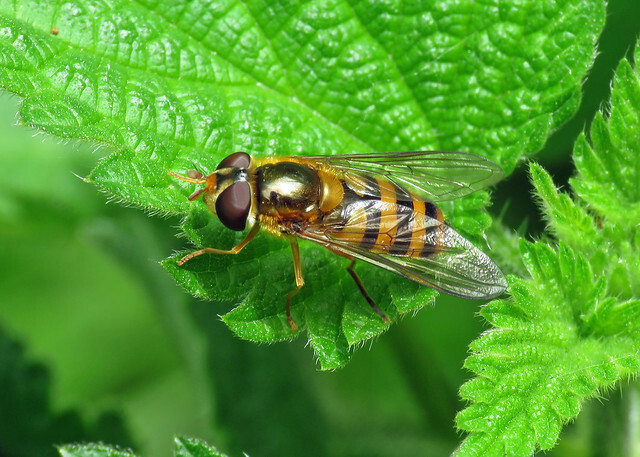 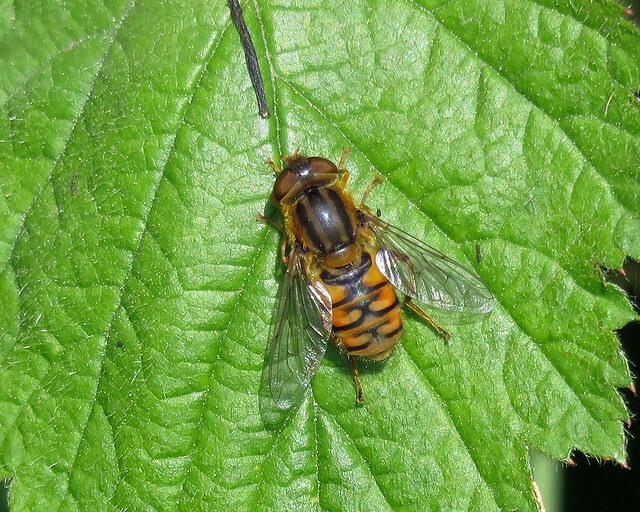 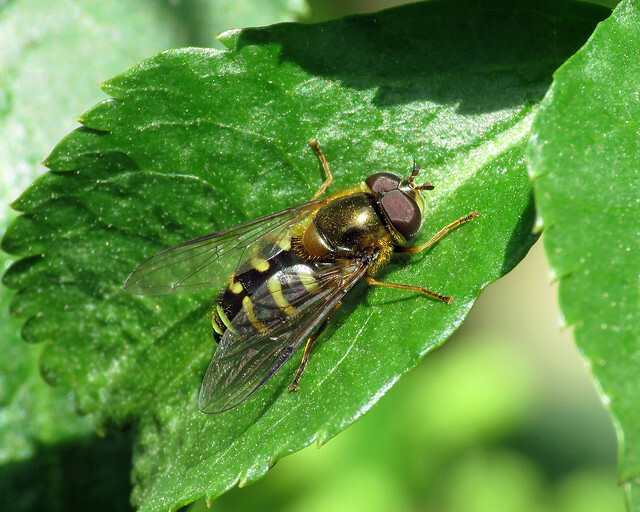 (NFY), Rhingia campestris and Sphaerophoria scripta. 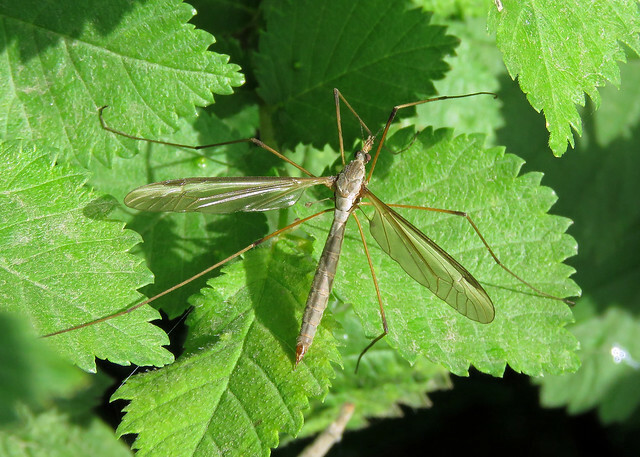 Had a dabble with some Craneflies with Tipula oleracea (NFY) and Ptychoptera contaminata (NFY) new to me, along with Tipula rufina already recorded this year. 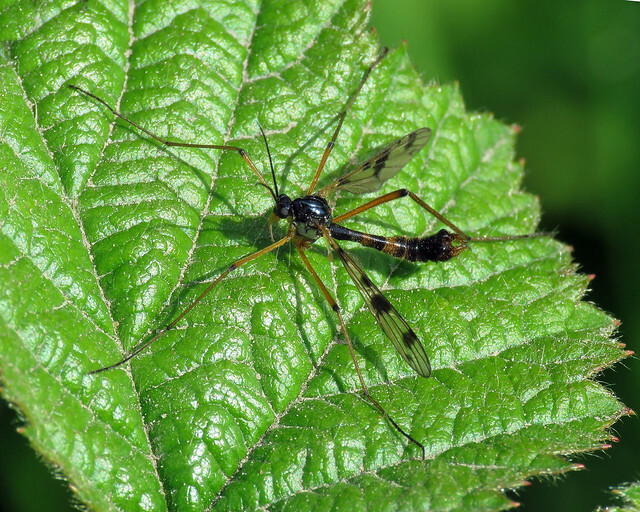 Finally a couple of Empis were photographed, though not 100% I believe these could be Empis opaca (NFY). 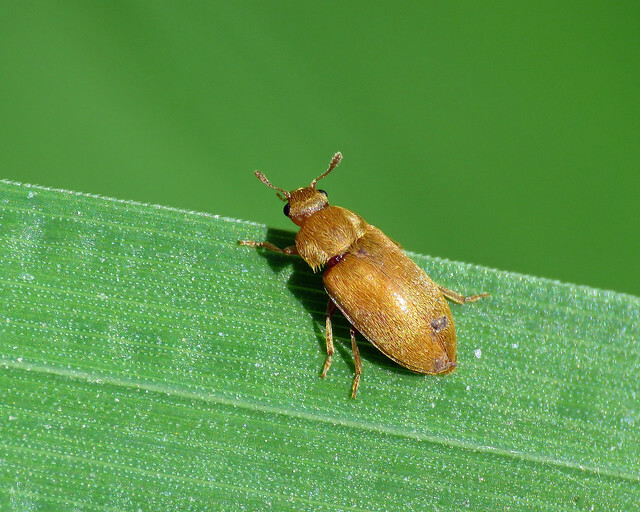 Beetle-wise Raspberry Beetle Byturus tomentosus (NFY) was a new species. 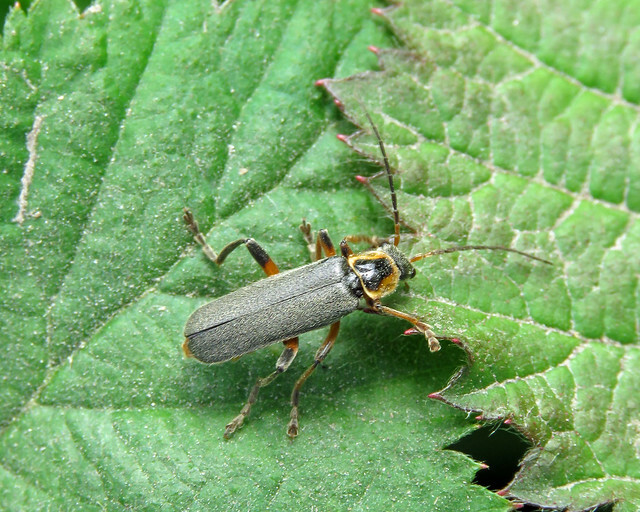 The Soldier Beetles are now starting to appear with Cantharis nigricans (NFY) leading the charge. 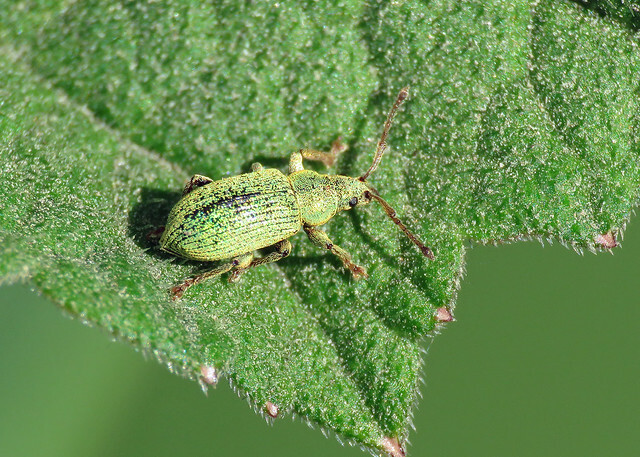 Following the arrival of Green Nettle Weevil Phyllobius pomaceus, which are now numerous, its smaller relative Small Green Nettle Weevil Phyllobius roboretanus (NFY) has also arrived on the scene. 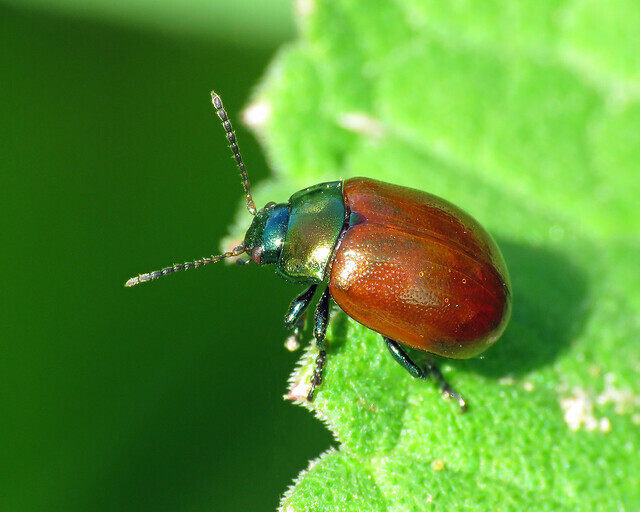 Knotgrass Leaf Beetle Chrysolina polita (NFY) are always nice to see, today’s found on the south side of Carp Lake. 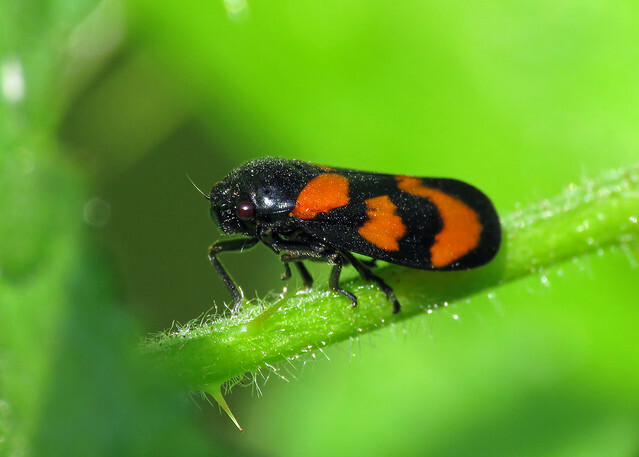 22-spot Ladybird Psyllobora vigintiduopunctata, 7-spot Ladybird Coccinella septempunctata and Thistle Tortoise Beetle Cassida rubiginosa complete the days list. 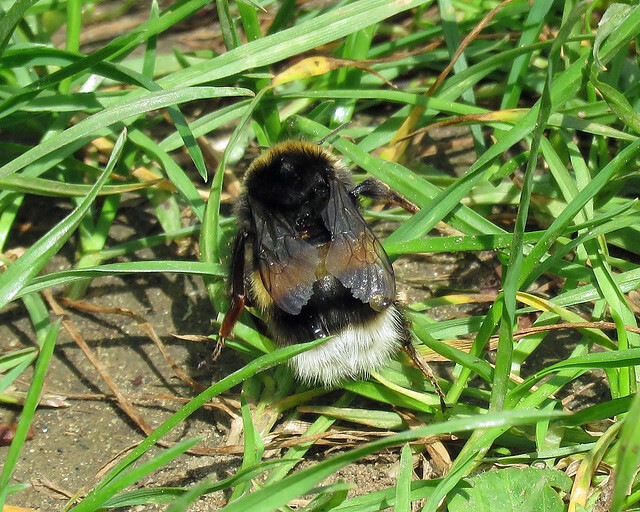 The Bees seemed elusive on this visit, though White-tailed Bumblebee Bombus lucorum (NFY), along with Common Carder Bee Bombus pascuorum and Vestal Cuckoo Bee Bombus vestalis the only Bumblebees noted. 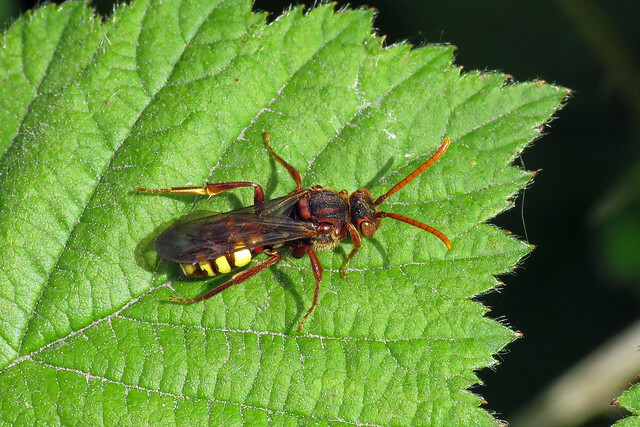 A single Nomada flava agg. 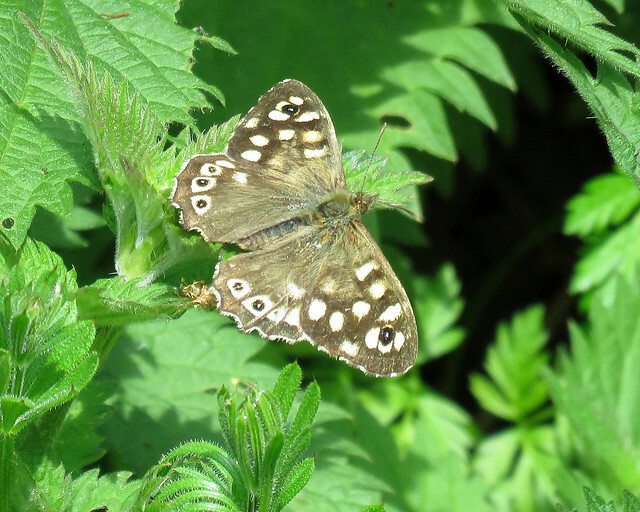 was also found along Dryham Lane. 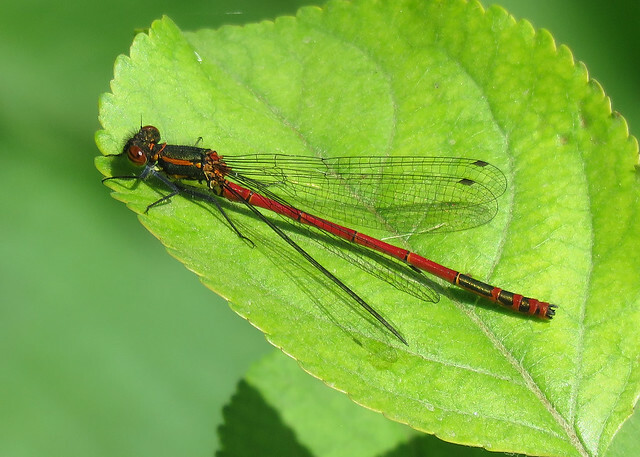 True Bugs were notable by their absence, only Cercopis vulnerata (NFY) found along the west path. 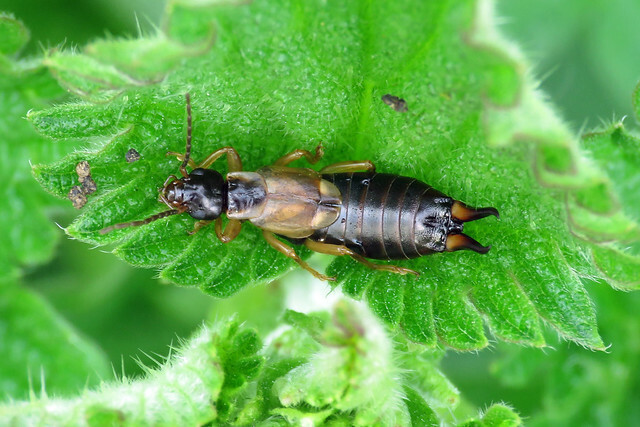 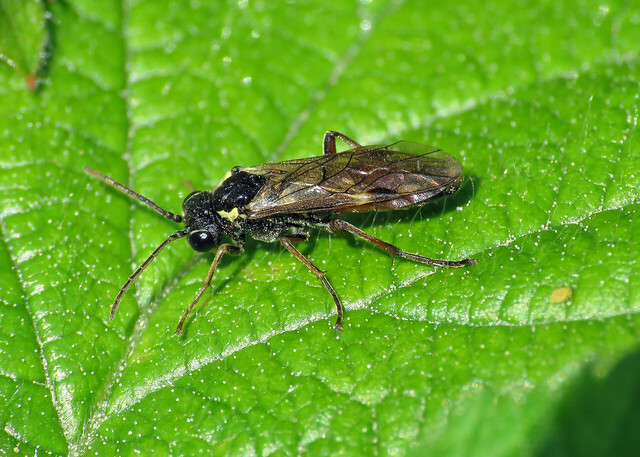 Other oddments included Common Earwig Forficula auricularia (NFY) and Sawflies Aglaostigma aucupariae. 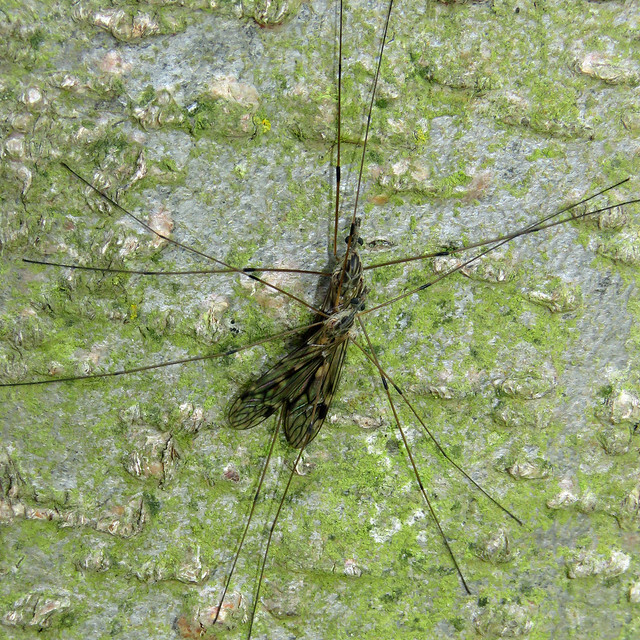 Finally on the invert. 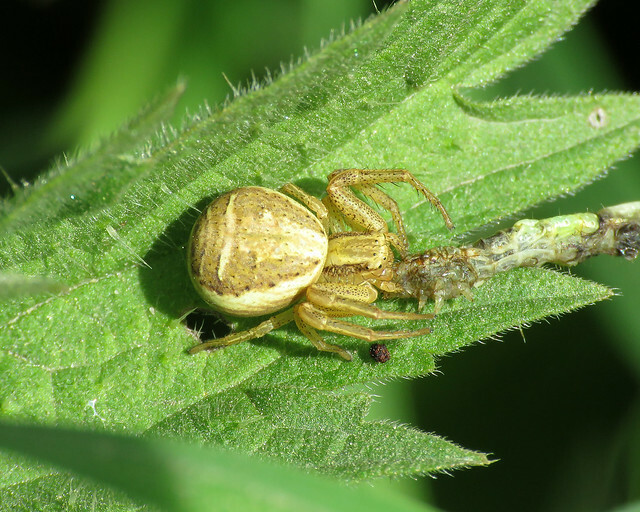 front a Crab Spider found appears to be Xysticus ulmi (NFY). 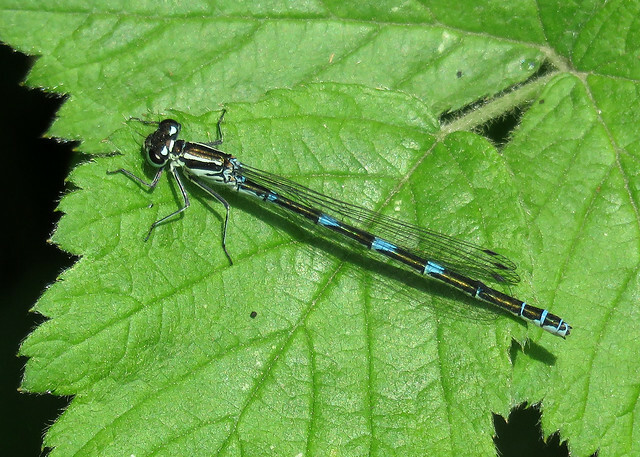 Smooth Newt Lissotriton vulgaris were numerous in the Dragonfly Ponds, the most I’ve ever seen. 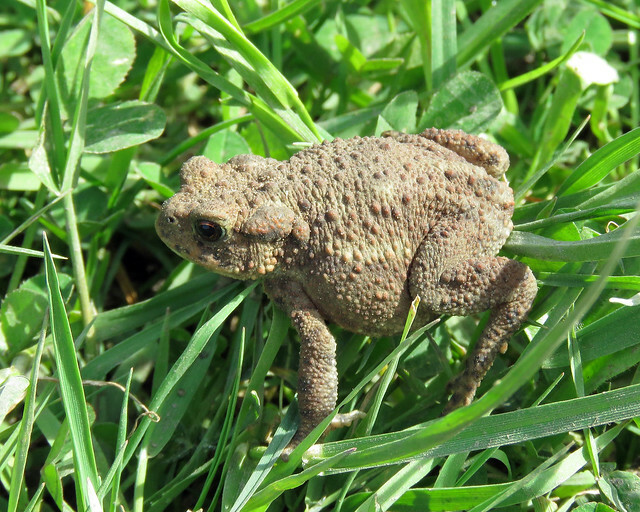 A Common Toad Bufo bufo was found along Dryham lane. 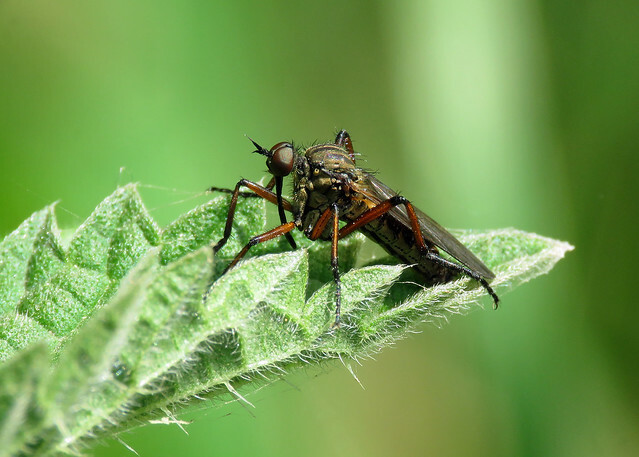 Finally on to the Birds. 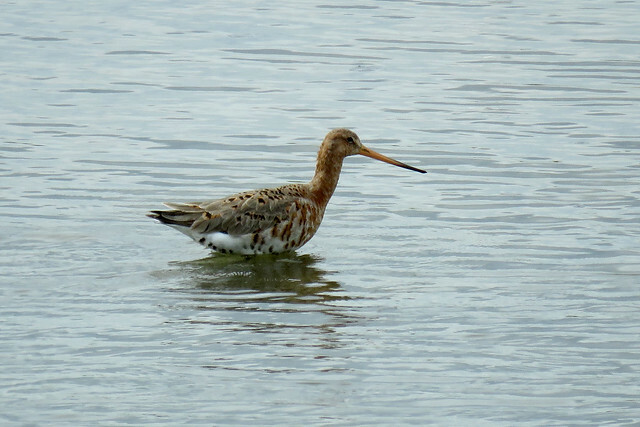 Highlight of the day was a Black-tailed Godwit Limosa limosa (NFY) on Island Lake. 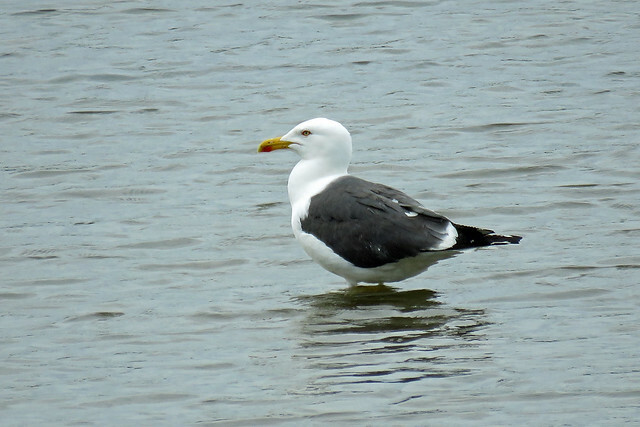 One of the Cetti’s Warbler Cettia cetti was singing in the far north-west corner of Far Lake.